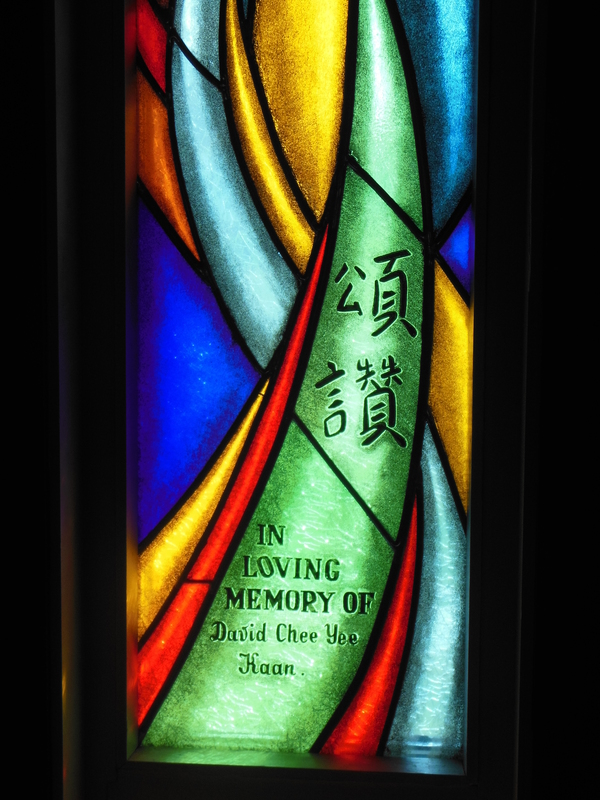 The window in memory of David Kaan was dedicated on March 11, 2007. They have come today to give a gift to our church that we will all enjoy every time we are in this sanctuary. It is a gift in memory of someone they loved very much—David Kaan who was a husband, father, grandfather, physician, good friend and dedicated member of this church. His passing last year has left us with rich memories or a remarkably faithful life. There were few aspects of our church life not touched by David’s dedication…the Board, AOTS, choir, Trustees , he and June taught the Junior High Sunday School class and led the youth group too, where he generously shared his gifts and passion for Christ. I remember David transformed as he cooked and played gracious host to crowds in his home. He took a great interest in people and made each of us feel special and valued. 1Come, let’s shout praises to God, raise the roof for the Rock who saved us! 2Let’s march into his presence singing praises, lifting the rafters with our hymns! 3And why? Because God is the best, High King over all the gods. 4In one hand he holds deep caves and caverns, in the other hand grasps the high mountains. 5He made Ocean—he owns it! His hands sculpted Earth! 6So come, let us worship: bow before him, on your knees before God, who made us! 7Oh yes, he’s our God, and we’re the people he pastures, the flock he feeds. This window will call us to worship—-to drop everything and listen to the message of life and peace, song and grace. I want to say “thank you” to Derek and the family of Isabel Read, for making the first step and installing the beautiful window opposite. These windows, though each very different, make statements about 2 people, about what was important in their life. When I first spoke to Wanda Pike, who designed both windows, I asked for an abstract design, but reflective of David’s life. I was very surprised when I first saw the design and recognized the stylized, flowing treble clef. It is entirely appropriate. David studied piano as a child, although with great reluctance, and never touched the piano again until many years later when he retired because of illness. He did, however, listen to music seriously, both recorded and live, always. He often said that music saved his life, when he would spend hours on the sofa, earphones on, listening to music throughout the long days and nights. He loved singing in the choir, and only something almost catastrophic would make him miss a practice. The Chinese characters you see on the window read “Praise God through song”. I am not sure how David would feel about having this window in place, with his name at the bottom, because I know that he was uncomfortable about public recognition of his work. I do know, however, how pleased he was when, on our last trip to Hong Kong, he saw the marble plaque with his father’s photo on the wall of his family church, St. Mary’s Anglican, in recognition of his great contributions to that church. I think that he would be happy that this window adds to the beauty of a space so very important to him. Many people contributed to the installation of this window. Many friends from this church, and many friends and family from across Canada and the United States. It has been overwhelming. I thank you all. The jewel tones of the window reflect David’s love of bright colours: “anything but beige” was always his comment. I looked at several dozen websites about church windows to see if any would give us inspiration for today. Canadian Memorial UC in Vancouver has extraordinary windows dedicated to Canada, each province and territory, to nurses, airmen, sailors and soldiers. What struck me is how we see our windows….first Isabel’s ….and now David’s. By the very way we speak of these special parts of our sanctuary we affirm that we are a family….we are called by name….we are known, loved and honoured. Each of you matters here…you belong….we are all children of a God of infinite love and welcome. 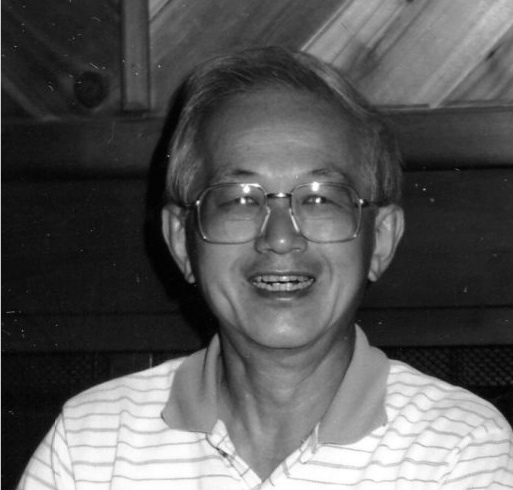 One: As a congregation, we recognize the life of David Kaan, a child of God, a tireless servant of Christ, a nurturer and challenger who sought to bring faith to all he encountered in life. One: In boldness of colour and design this window reminds us to sing with abandon of the love of Christ, holding nothing back. All: May the beauty of this window touch our souls with the deep joy of faith. Wise and wonderful Creator we marvel at how you provide for our every need… even before we have voiced our wants. You fill our lives with meaning drawing us into relationships of love, to work of compassion and healing, to a faith of unswerving justice and hope. Somehow you provide us with a deep sense of belonging coupled with outrageous freedom…. and in them we experience the wonder of grace. We remember David with such respect and thanks. Church was an integral part of how he defined who he was in the world. Here he found strength to live with dignity and integrity…. trusting that God does speak to our real lives. Here he found a community to listen, learn, share and grow in faith with him. He challenged us to sing for joy even if our voice is soft… for a heart filled with faith will support our loudest choruses of Halleluia! Help us now Holy One, to keep ourselves open to your vision and convinced that, together, we will bring dreams to life through our acts of faith. We pray in Christ’s name. Amen.